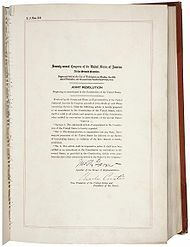 Today is the 80th Anniversary of the passage of the 21st Amendment of the United States Constitution, which repealed the 18th Amendment and the Prohibition of alcoholic beverages in the country. Prohibition was surely one of the dumbest ideas in American history, surpassed in stupidity perhaps only by the current Insane War on Drugs, which has had many of the same ill effects as prohibition, only worse. Proponents of prohibition offered any number of justifications for imposing their religious & moralistic opinions on the rest of the country. Among these claims were that prohibition would reduce drunkenness, reduce crime & increase respect for the law, reduce insanity, reduce child neglect & domestic violence, and reduce taxes (largely by reducing the need for courts, jails, hospitals, poor houses and insane asylums). 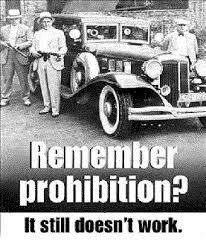 In fact, prohibition had exactly the opposite effect with respect to all of the projected “benefits”. Most noticeably, prohibition significantly increased crime in the U.S., giving rise as it did to bootlegging and organized crime. The number of serious crimes increased, as did drunkenness, disorderly conduct, drunk driving, theft & burglary, assault and even homicide. The costs of fighting crime increased dramatically during prohibition. Funding for law enforcement had to be increased rather than decreased. The number of individuals convicted of federal crimes increased 561% during prohibition. Federal prison population increased 366%. Federal expenditures on penal facilities increased 1000%!! 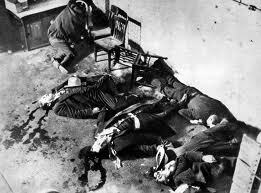 Infighting among the gangs organized for bootlegging resulted in 400 gang related murders in the city of Chicago in a single year, including the infamous St. Valentine’s Day massacre. 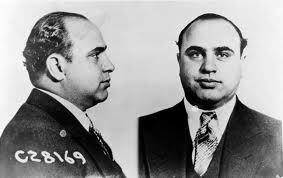 Al Capone, Joseph Bonanno, Bugs Moran, Lucky Luciano, Bugsy Siegel, Meyer Lansky, Dutch Schultz, Tommy Lucchese and Frank Nitti, to name a few. Did we learn anything from the experience of prohibition? Apparently, not much. Prohibition ended in 1933 — by 1936, all 48 states had enacted laws regulating the possession, use & sale of marijuana, which was blamed for an increase in violent crime and was touted by some as the “foremost menace to life, health and morals in America”. Nevertheless, the federal government did not become involved in outlawing (rather than simply taxing) most drugs, other than narcotics, until 1965, when amphetamines & barbiturates came under a federal prohibition. LSD was added to the list of prohibited drugs in 1968. Then, in 1970, the Comprehensive Drug Abuse Prevention and Control Act of 1970 (also called the Controlled Substance Act of 1970) created the federal Drug Enforcement Agency (DEA) and brought all drugs under federal jurisdiction. 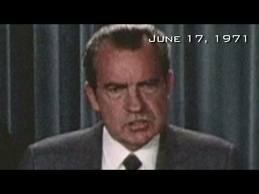 On June 17, 1971, President Richard Nixon made it official, declaring a federal “war on drugs”. Thereafter, a flood of anti-drug legislation, both federal and state, imposed more and more restrictions on drug possession, use and sale, while simultaneously imposing increasingly severe sanctions for such possession, use and sale. What are the governmental justifications for prohibiting the use of drugs by American citizens? Typically, they include that such prohibition reduces drug use & the resulting impairments, reduces crime & increases respect for the law, reduces child neglect & domestic violence, and reduces the financial burden on society of dealing with drug abuse. Sound familiar? And what results have these draconian drug laws accomplished? 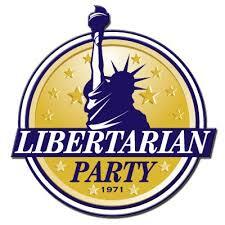 Most notably, they have created a whole new version of organized crime and gang warfare, now international in scope. We have once again seen substantially increased crime in the U.S. (with more than 1.5 million people a year being arrested for drug related offenses) and incredibly higher costs of law enforcement (more than one TRILLION dollars spent in the “war on drugs”). Drug-related gang activity, including turf wars, has resulted in a veritable blood-bath on the streets of many American cities (as well as in a number of other countries). Property and assault crimes committed for the purpose of obtaining drug money account for as much as half of all such crimes in many cities. Largely because of the “insane war on drugs”, the United States imprisons a higher percentage of its population (716 people per 100,000 population) than any other country in the world. The next closest large country is Russia (484 per 100,000), while other developed countries have uniformly lower rates of incarceration: Brazil (274), New Zealand (193), Spain (149), England (148), the Netherlands (82), Germany (80), Norway (71), Denmark (68), Sweden (67), Finland (60), Japan (54) and India (30), to name a few. 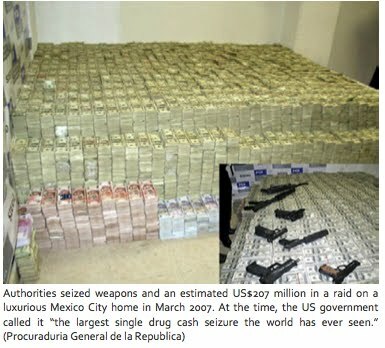 On the 40th Anniversary of Nixon’s declaration of the “War on Drugs”, the Libertarian Party issued a press release discussing why this “war” has been an utter failure and should be abandoned. See Note 1 below for a link to this release. In that release is a link to a report by Law Enforcement Against Prohibition (LEAP) which discusses in sometimes gruesome detail just what a failure the drug war has been. See Note 2 below. It is way past time to bring this insanity to a conclusion, to make law the Libertarian ideal that individuals have the right to choose for themselves whether or not to use drugs, to repeal all laws prohibiting the medicinal or recreational use of all drugs, and to release from our jails and prisons all individuals incarcerated for the possession, use or sale of drugs. Doing so will mean having to overcome opposition from some segments of law enforcement (which derive significant financial benefits from the war on drugs), as well as the religious right and other moralists who think they should be able to dictate the actions & control the lives of others. Albert Einstein once defined insanity as “doing the same thing over and over again and expecting different results”. Einstein’s definition applies perfectly to the “war on drugs” and the time has come to end the insanity.